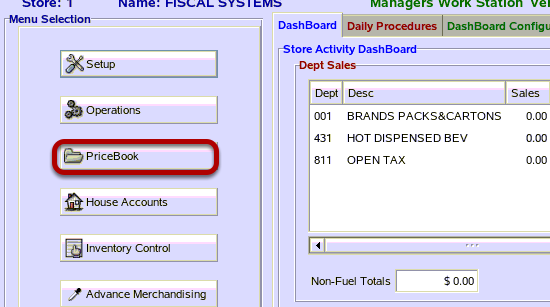 TravStar1 Point Of Sale SystemManager's Work Station Pricebook ManagementHow Do I Add a New Item into Inventory? How Do I Add a New Item into Inventory? This lesson will teach you how to add a new item into your inventory. 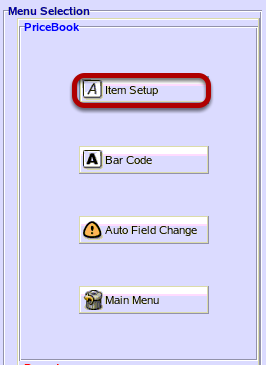 The Item Setup screen is used to setup items in your inventory. From the Item Setup screen, click on the "Add" button. From the Add Item Number screen, type the PLU of the new item. Then click the "Ok" button. 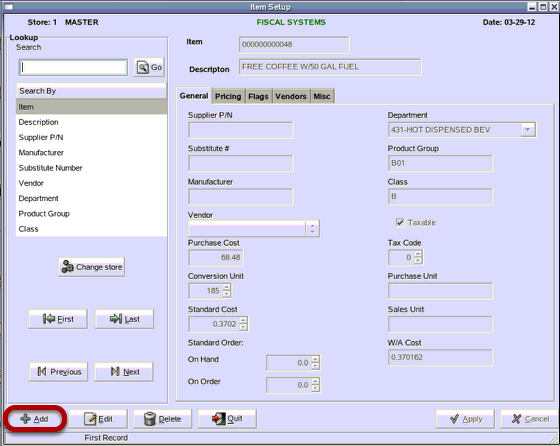 (1) From the Item Setup screen, notice your new PLU is now displayed as the Item. Type a description for your new item. This description is what will show up on the register receipt when the item is sold. 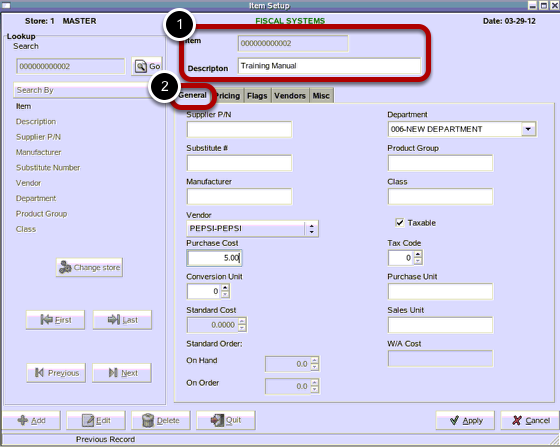 (2) From the General tab, type in all applicable fields. Make sure to give the new item a department number. 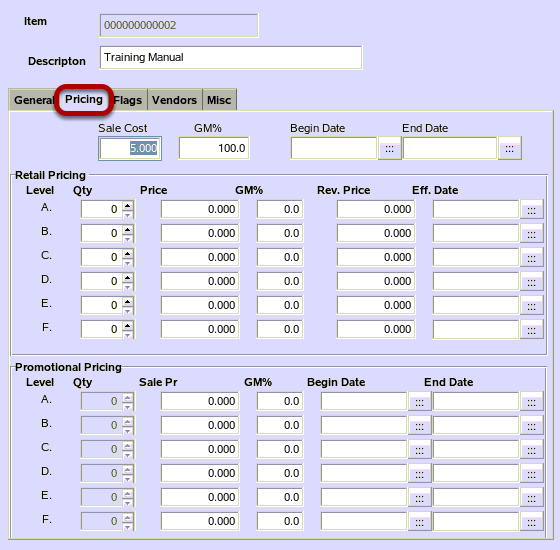 From the Pricing tab, type in all applicable fields. 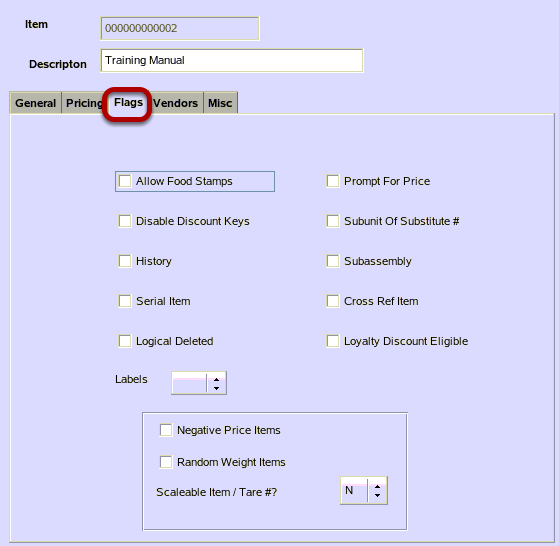 From the Flags tab, type in all applicable fields. 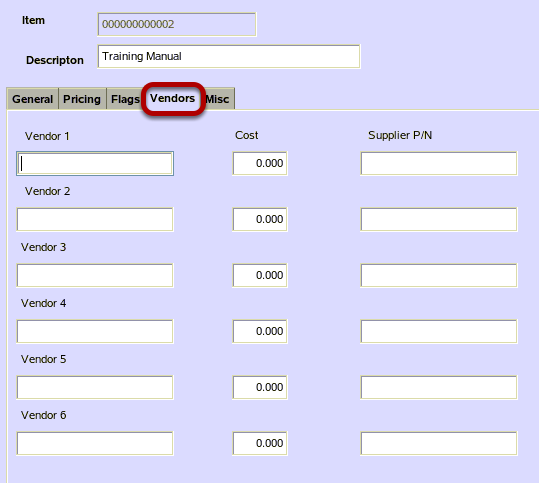 From the Vendor tab, type in all applicable fields. From the Misc tab, type in all applicable fields. Then click the "Apply" button. 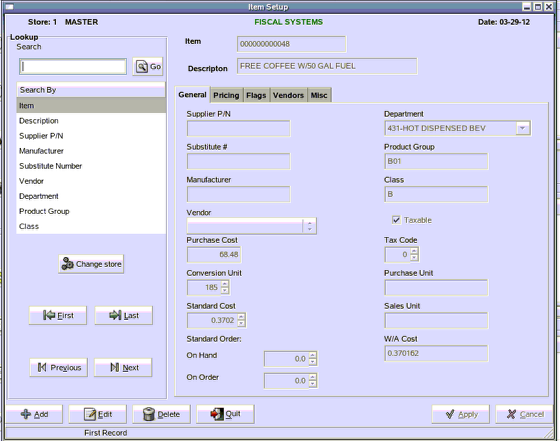 Prev: How Do I Change the MWS Admin Utility Password? 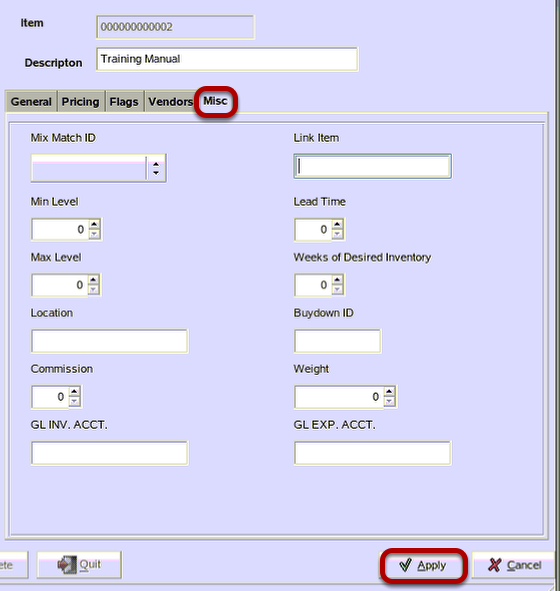 Next: How Do I Edit an Existing Item?